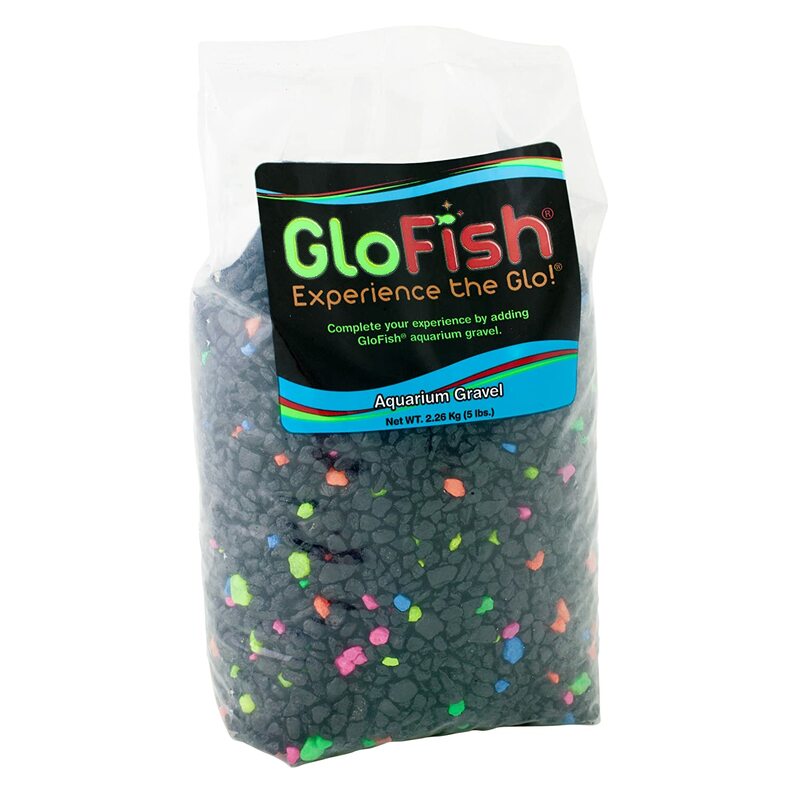 Specially made for the Glofish, these gravels are really beautiful in their white frost color. Specially made to enhance the Glofsih experience, these gravels do not affect their natural behavior. 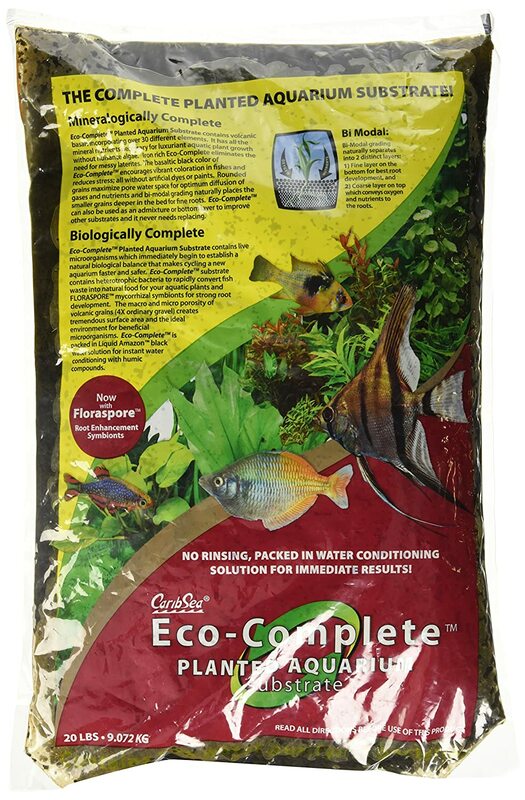 The product is available in a 5 pound bag to keep some in reserve too for replacing the algae contaminated rocks and clean them. It is the best product to use as a substrate or accent for the aquarium. 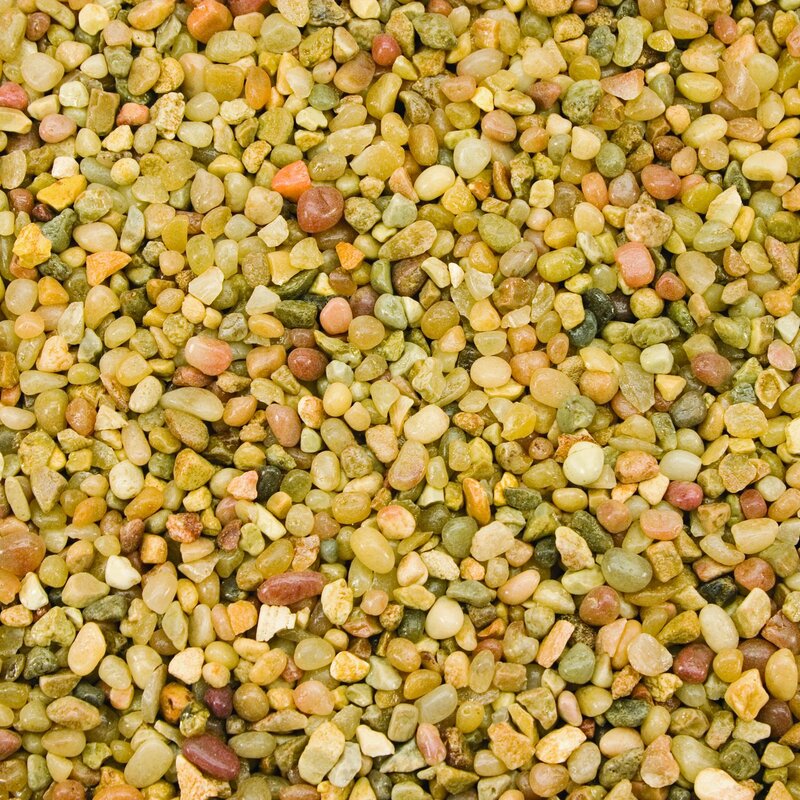 Exotic gravel for fish tanks with mixed colors and sizes. All the gravels are in mixtures and are polished with safe ingredients to prevent any harm to the water or the fishes.These are suitable for driveways and garden beds too. The polish on the gravels gives a shiny look as well as keeps the dirt from sticking on them. The gravel is easy to clean and reuse too. The gravels are compatible with all kinds of fishes making them the most bought ones. The size and structure of the pebbles is stiff and designed carefully not to be swallowed by the fishes. These gravels are perfect for fresh water aquariums. They do not affect the ph value of the water like other stones or rocks may do. The polish on the gravels is specially coated with non toxic polish thus preventing any harm whatsoever to the fishes. These gravels and rocks are not compatible with salt water aquariums and limit exclusively to fresh water aquariums. They can be used both indoors and outdoors. The colors are multiple and give a bright look to the water bed. 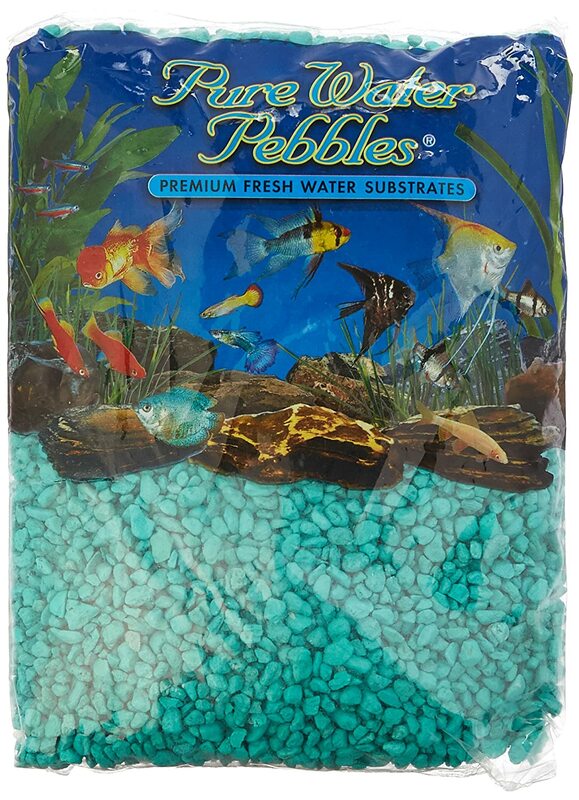 These pure water pebbles are the most beautiful decorations for your fish tank. With the exquisite turquoise color, they give a reef like imitation to the fish tank. The coating is made non toxic and the stones do not affect the ph value of the water either. They are suitable for almost all kinds of fresh water and salt water aquariums. The blue color is formed completely from acrylic paint and does not come off ever. 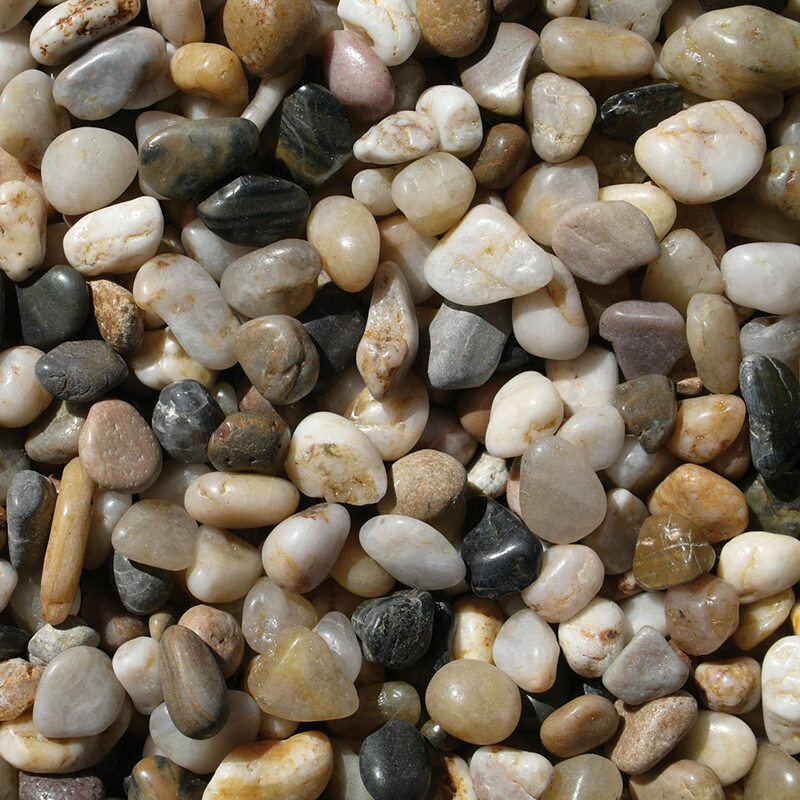 These pebbles do not limit to just aquariums and can be used as a decoration for centre tables, ash trays and other crafting hobbies. These gravels are costliest in the above list but are much better than others. The special black gravel is pretty useful in a planted aquarium. Not only do they give a complete substrate to the plantations, these stones contain major and minor elements to nourish the aquarium plants. They encourage healthy plant root growth too. They work perfectly as substrates for both fresh water and salt water aquariums.